“What is the worst thing that can happen to you?” I asked a client this morning when we were discussing honesty and the courage to speak out when you disagree with someone. 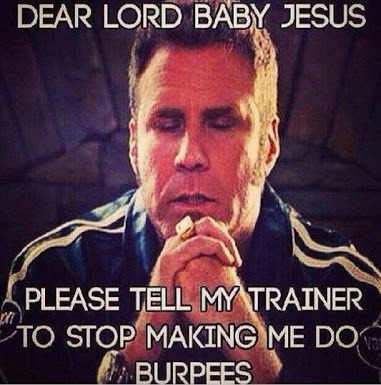 When it comes to training, I fear burpees. I dread them. I hate them with every fibre of my being. 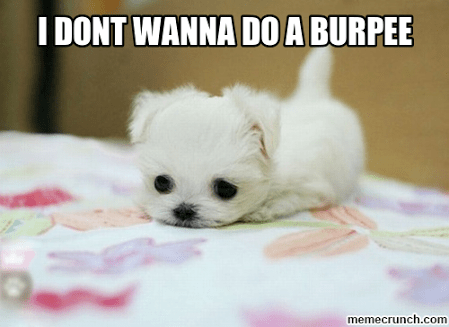 And while I often use anger as the motivator to help me go bigger, better and faster, nothing can help me conquer a burpee. Today’s training session was particularly brutal. 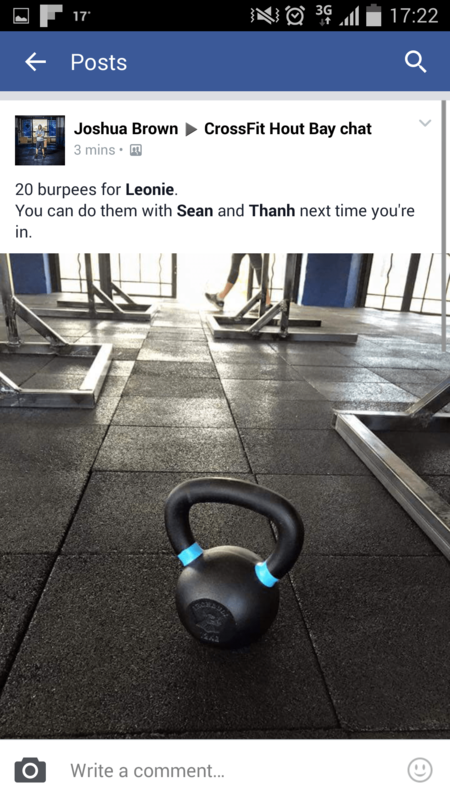 Following some rather enjoyable yet challenging back squats (weights are my thang), the WOD (three sets of 400m running, 21 kettlebell swings and 12 pull-ups / ring rows) still had to be conquered within 15 minutes. With my ankle still sucky and recovering from injury and surgery, I don’t run too far or fast. Which means I tend to be slower in these sessions. But it turned out to be the kettlebells that killed me. Every time I bent over to swing that bloody kettlebell over my head, I could taste the piece of droëwors I had on the way to my Box. It was not a good taste. Refusing to do the scaled version of the exercise, I was about to puke and coach Josh was ready to take photos in case I did. 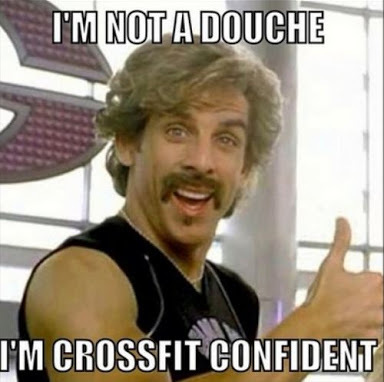 But I didn’t – instead I curled into a fetal position when I finished (missing completing my full WOD by 8 freaking ring rows) and tried not to cry. Once I could walk upright, I left and got into the car where it took another 15 minutes of staring into space before I could start the engine. I forgot to put my kettlebell away. Noooooooooooooooooooooo!!!!!!!!!!!!!! Why is this a bad thing? Because I promised myself that this would be a pitstop on my journey to Ironman awesomeness. The thing that would help me get strong again. So really, no long term commitments; just a detour from my original plans. “I will never even take a bicep flexing selfie,” I told my friends. So why then, three weeks in, did I check myself in the mirror for the most miniscule signs of burgeoning muscle definition? This was not the plan!! It was a terrible, horrible, no good day. I will read all of your blogs on peroneal tendon surgery recovery. I am likely having that surgery very soon. I’m not happy about what the recovery seems like but I am heartened by the fact you are back in action. I too am an extremely active person and cannot stand the thought of being down for long. Thank you for writing about this topic!